Just what does it take to make her story history? That is, to ensure our collective human memory reflects the perspectives of women as much as the perspectives of men, and – critically – gives weight to women’s analyses of how we’ve ended up where we are and how to chart a better course in future? 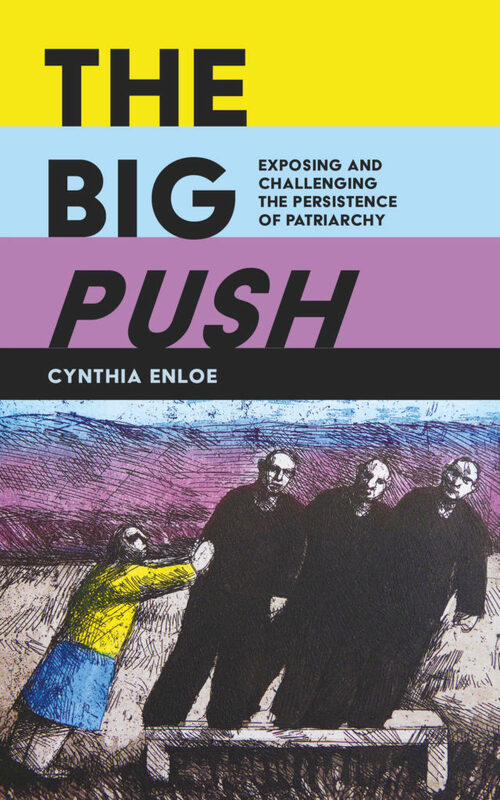 In this latest of her studies on power, gender, and equality, Cynthia Enloe considers these questions using the conceptual tools and rich experiences gained over a life spent carefully analysing the past and the present, and making the links that others haven’t. The key starting point in this fascinating reflection on what sustains patriarchy and its many faces, is the Women’s Marches of 2017 in the wake of Donald Trump’s election as US President. 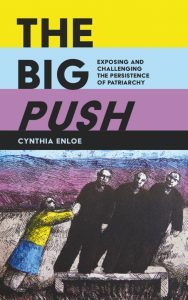 This is an important book because, as Cynthia Enloe argues, ‘describing patriarchy’s stubborn survival and its remarkable adaptability is not to drape it in a mantle of unassailability…quite the opposite’ (p. 17). To challenge it, we need to recognise it – not only in the war cemeteries of the two World Wars, and not only in the Oval Office – as Cynthia Enloe observes so witheringly in the title of the book’s Preface, ‘It’s Not All About Trump’. It is also – and equally – about the complicity of entire societies in a gendered set of unequal power relations. There are the interdependencies between toxic masculinities and – if you like – toxic femininities; the women in stilettoes and skirts who teeter beside the powerful men in suits, proving political power’s links to (hetero)sexual conquest of women made artificially, appallingly vulnerable by gender roles and relations. And there are the quiet acts and thoughts of resistance from women and girls who are not free to overtly challenge patriarchy but who signal their opposition through ‘a flick of the skirt’ (p. 87). I found this book a dream to read – despite its hard-hitting subject matter that challenges all of us to activism, and particularly speaks to those of us who are able to choose to march – and need to, in a climate of closing space for civil society activism and concerted challenges to notions of individual human rights and in particular to women’s rights. This book is a zeitgeist publication, which marks a moment in international and national politics characterised by a surge of right-wing populist aggression fuelled by ‘toxic masculinities’ that use a particular narrative: of ethnic purity and superiority, of inferior peoples who live in ‘shithole’ countries, of making our nations and countries ‘great again’ by banning mixing, nuancing, intelligence, and non-violence. In a fascinating and brave account, Cynthia Enloe focuses on the complicity of all involved in memorialising war through mythologising and what she terms ‘patriarchal forgetting’ (p. 77).